With deep roots in northern Arizona, Olsen’s Grain and Feed, Inc. has been a major retail supplier of pet, livestock, and wild bird feeds since 1979. Starting with the original location in Chino Valley, Olsen’s has grown to five stores strong and is now also serving the communities of Prescott, Dewey/ Humboldt, Clarkdale, Flagstaff and their surrounding areas. Today, the company’s superior product offerings and service form the basis for its motto: “Good Enough, Just Isn’t”. 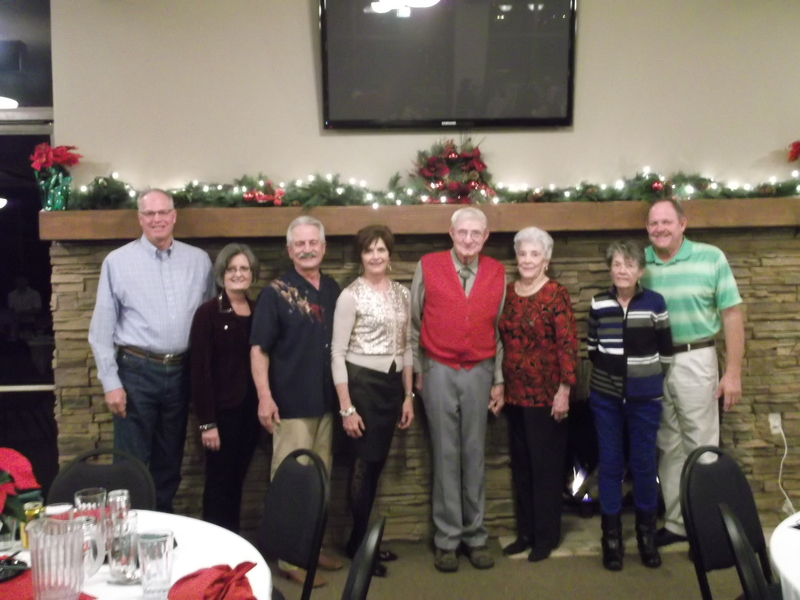 Family roots that were established since the early 1950’s, it’s no wonder each of the four couples who own Olsen’s live in the Prescott area. The ranching and farming tradition in the family gave them many years of experience dealing with the nutritional needs of animals in northern Arizona. The success of the five stores is the result of combining all of the owner’s expertise and ideas in an effort to make Olsen’s, the premier feed and pet supplier in the areas they serve. In 1979, with the financial help of his parents, John and Ann Olsen, Mike Olsen (a Vo-Ag teacher in Mesa) and his wife, Sherrill, bought the Chino Valley Grain Company. The store name was changed to Olsen’s Chino Valley Grain and eventually became Olsen’s Grain, Inc. Tired of corporate life in southern California, Steve Sischka and his wife, Kathy (Olsen), came on board in 1980. They opened the store in Prescott. Steve brought with him expertise in the pet food business as well as marketing and advertising. With a minor degree in Agriculture, Dan Olsen and wife, Barb, joined the business in 1982. They managed the Dewey store. Dan supervised the construction of two stores – Flagstaff in 1997 and Clarkdale in 2001. The Olsen’s feed mill in Chino Valley dates back to the 1940’s. In its early years, the mill took care of local dairymen and farmers. With modernization and renovation of the mill, Olsen’s Grain now produces its own lines of feed. This caters to the modern “back yard” animal enthusiasts. “Olsen’s Fresh Milled Products” include sweet feed, cleaned and rolled grains, and custom mixes for horses, hogs, sheep, chickens and cattle. Along with their own line of feeds, they carry a complete line of Purina Mills Feeds which is the largest feed manufacturer in the U.S. It features such respected brand names as Layena, Omolene, Equine Senior, and Ultium. Since 1894, Purina Mills has been on the “cutting edge” of advances in animal nutrition. Research based, performance proven and quality guaranteed makes Purina Mills number one in the business. Olsen’s Grain and Feed are also proud to be northern Arizona’s “Healthy, Holistic Pet Food and Treat” stores. We carry 30 different specialized brands of dog and cat food for those health conscious people. We also carry a full line of toys, accessories, and remedies for today’s pets. A complete line of veterinary and farrier supplies are also available. Longevity, experience, personalized customer service and an ever-expanding knowledge of nutritional needs are the basis for Olsen’s Grain. It is an operation owned and managed by a family that cares about the community, their employees and the customers they serve. 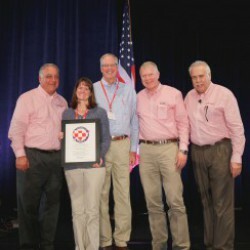 Olsens Grain is presented the "Checker Up America community leadership award by Purina Animal Nutrition.